Visiting my mother-in-law recently, I noticed that she is like Tasha. She moves about the kitchen slowly, picking up a broom, collecting ingredients for a meal, emptying the dishwasher. Never does she scurry around in a panic like I am prone to do. But, what an inviting kitchen she keeps, and what feasts she prepares! Though I’ve never been in any danger of dusting too much, I do rush around to no avail. Many times I’m only rushing in my mind, thinking I have no time to start a project or to sit down and play a game with my sons. I’ve been learning, though, that a day focused on Christ has enough time. When I look to him in the morning (by reading his Word and asking for guidance and strength) and throughout the day (through prayer and listening to or singing praise music), I can live more like Tasha and my mother-in-law—gently moving from one task or activity to another without the friction of anxiety. I don’t know whether or not Tasha had a relationship with Jesus, but her work certainly points toward heaven. 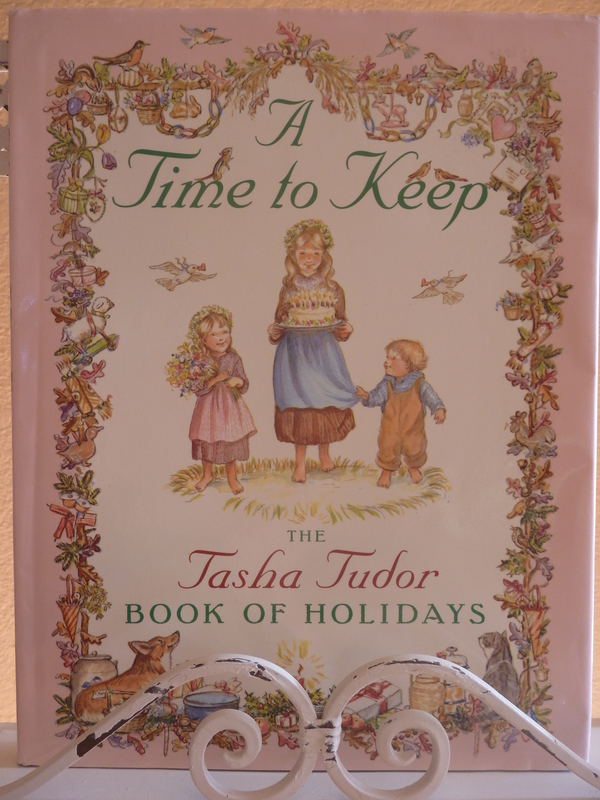 One of my favorite books she wrote and illustrated is A Time to Keep: The Tasha Tudor Book of Holidays. Tasha made time to celebrate life with her children, every month of the year. Allow your imagination to play within her watercolor renderings, and relish the beauty of every season! It is January, and there is a whole year to look forward to, not with a burdened feeling of all that is expected, but with the freedom of wondering which “green pastures” and “quiet waters” our Shepherd will lead us beside this year. I want to “keep” time in 2014. Keep time by moving unhurriedly and steadily. Keep time by focusing on that which will be important for eternity, rather than spending time on the ephemeral. Keep time with Jesus as my conductor, counting blessings and celebrating His goodness. This entry was posted in Inspiration from Others, Treasured Books and tagged A Time to Keep, children's book, Christianity, inspiration, Laura Ingalls Wilder, Norman Vincent Peale, productivity, Tasha Tudor. Bookmark the permalink. Dear Carol, how blessed was to read your words about time and life. 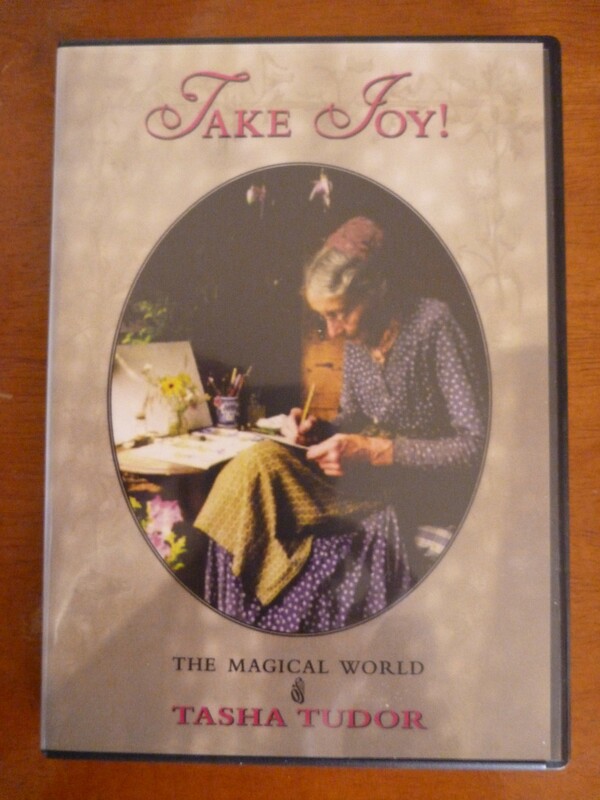 I am very curious about Tasha Tudor.oday I read about increase my faith not decrease my dreams and to live a calm and peaceful every day is essential. Thank you. Everything is a grace of love. Thank you for the reminder to slow down and look for God in all situations. Beautifully put.